Dr. Balbir Singh is one of the best doctors in Gurgaon and is a winner of the prestigious Padma Shri award. 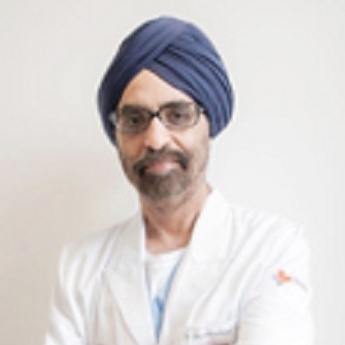 Dr. Balbir Singh specializes in electrophysiology, radiofrequency ablation for arrhythmias, coronary angioplasty, pacemakers, and devices that treat heart failure which has won him faculty status at all major conferences both in Europe and America. Dr. Balbir has also pioneered several new techniques and procedures in invasive cardiology and is a fellow of the American college of cardiology. Dr Balbir Singh is one of the best Cardiologist in Gurgaon and has an experience of 30 Years in the field. Padma Shri, 2007, Limca Book of Records for Editorial Services in Indian Electrophysiology Journal, 2007, Invited for V.V.Shah Oration, 2006, Medical Excellence Award (International Study Circle), 2002, Recognition Award for achievements in the field of Interventional Cardiology, B D Kumar Oration (Indian Medical Association), 1996, Sujoy B Roy Best young investigator award (Cardiology Society of India), 1995.